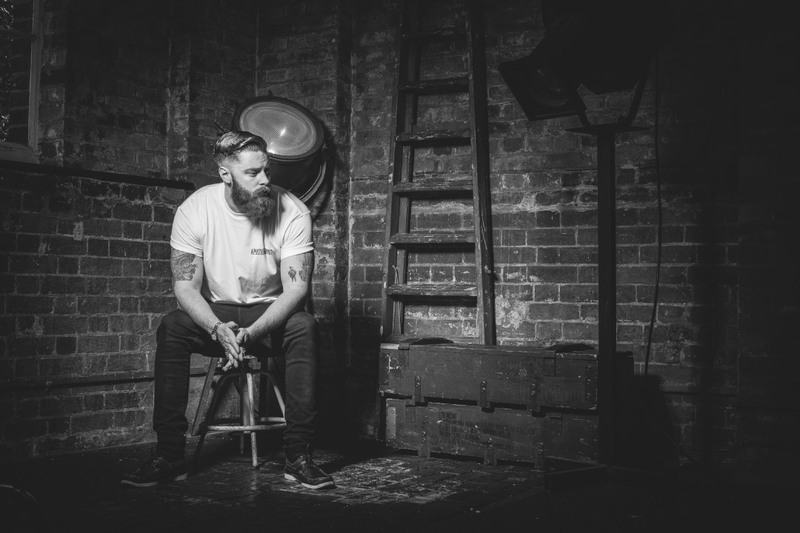 Discover Apothecary 87, brand and universe of Sam Martin, from bartender to founder of Apothecary 87 grooming brand. Sam Martin started the brand by a sheer desire to create the ideal beard oil for his own beard. We caught up with Sam to ask him some questions about Apothecary 87, his daily grooming routine and some of his best grooming tips. What inspired you to launch Apothecary 87? Since I was 20, I have always had a beard (I’m now 27), and it has always been very itchy and dry. As I grew my beard longer, I noticed this was getting worse, so I researched ways to look after beards, and found « beard oil » was the product for the job. After a long time testing different brands, I was starting to lose hope of ever finding something to help with this nightmare of a beard I was growing. At this point, I researched what a beard oil actually was, and spent the best part of a year researching ingredients that would work. Eventually I came up with a product that would later be known as our Original Recipe. By the time I had created this, I had developed a following on social media of pogonophiles, who would regularly ask me what products I used and where they could get them. After a few months of being asked, I decided to put the products through their testing, and I created Apothecary 87. What do you love most about your job? I love all kinds of things about my job. I love business, and working hard to grow a business. I love challenges. I love the ability to overcome problems in business. 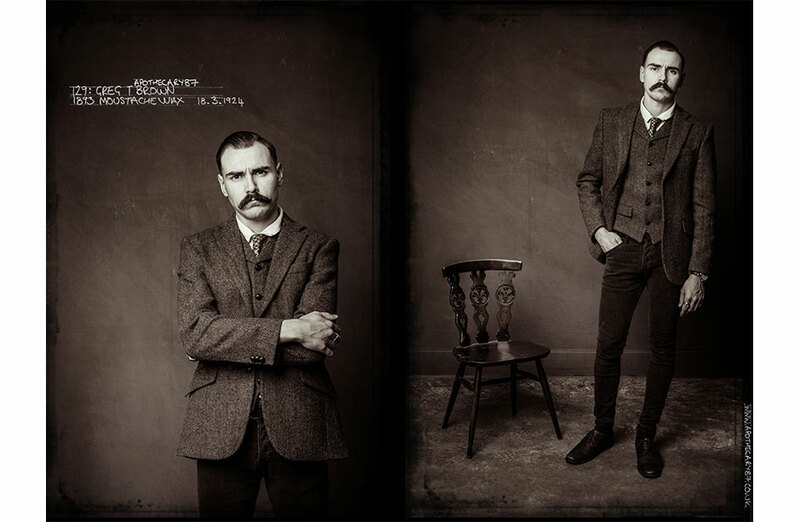 But most of all, I love where Apothecary 87 is taking me. The journey I have been on this far, is more than I ever imagined I would achieve. Currently, I am spending a lot of time in the States, as we are in the process of setting up the first couple of retail outlets for Apothecary 87, complete with barbershops. The brand has really started to grow, and the support we receive from our customers in unparalleled. I love that I am able to do the things I do because Apothecary 87 has so much support. 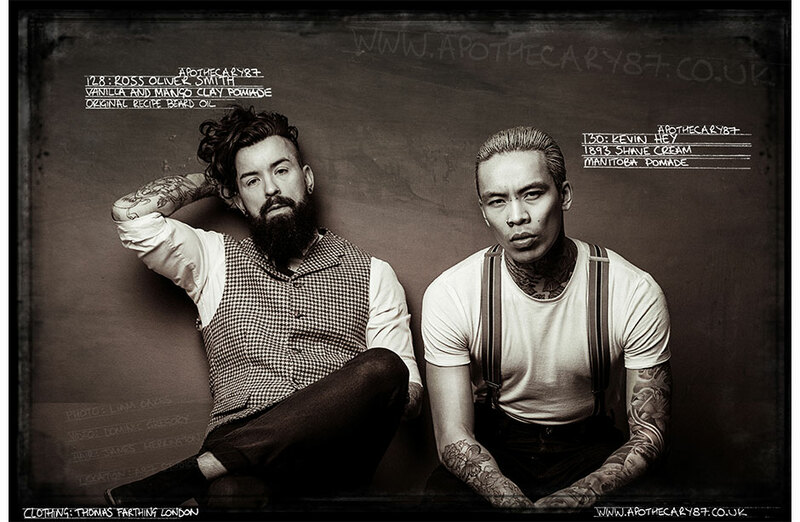 What products do you use yourself from the Apothecary 87 range? 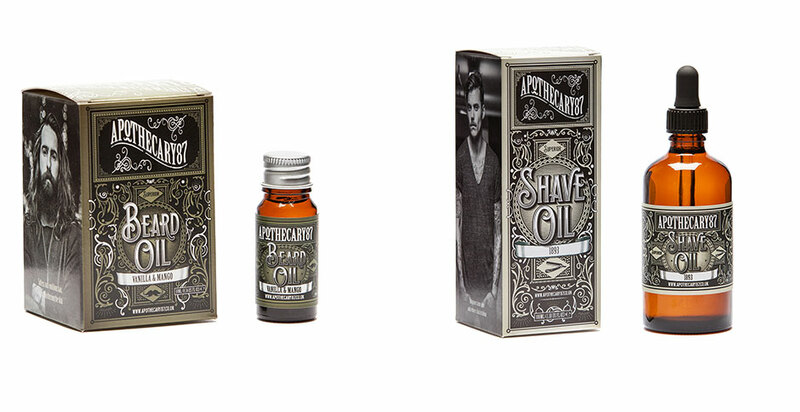 All the Apothecary 87 range has been developed out of pure selfishness. We haven’t created a product that I don’t use, so it’s all in my bathroom cabinet! Our expansion into the hair styling world will bring the first products I don’t personally use, as I have thick hair and need a solid hold, I am a Pomade kind of guy. Paste and Clay are not products designed to have a strong enough hold for my hair type, and the wax products won’t set, so I stick with our water based Pomade. The other 3 products will be joining our range soon. How long do you spend on your daily grooming routine? My grooming routine can vary in length of time. Owning a grooming brand, I make sure I am always presentable and well groomed, however I am also a fairly typical man, and don’t like to spend too much time grooming. My usual routine after a shower would consist of applying some beard oil, shaving around the edges if needed or trimming my beard, then styling my hair It’s not a long process, but enough to make me look half presentable. Any secret beard grooming tips that you would like to share? My personal tip is to wash my beard daily, with a shampoo designed for dry hair, then apply some oil whilst it is still warm and wet. This will help the oil work, as it is absorbed much better, and makes styling the beard far easier! What would be your desert island grooming product of choice? If I was stranded on a desert island, I would have to say one of our beard oils. Being someone who suffers from a dry, itchy beard, I would have to make sure I had enough oil to repair the damage from any desert island damage! Favourite Celebrity Beard? That’s a tough one, how can you pick!? Tim Howard and Calum Best both had really good beard Jake Gyllenhaal grows an exceptional face farm. But the best, it’s got to be Brian Blessed. He has been rocking his forever! Favourite Scent? We are currently working on a twist of one of our existing fragrances for a new product. I have to say, that this is pretty special and by far my favourite scent. Unfortunately, it is Top Secret until we launch, so for now I will have to say it’s our Maple Pomade. Favourite menswear brand of the moment? It would depend on the garment, so it is hard to choose. Here are my current favourites: Shoes would be Barker. High quality, and they look awesome. I have a pair of Burgundy Brogue Chelsea Boots that never leave my feet. Jeans would be Dr. Denim. Their denim is really top quality and fits great! Shirts would be Tank Farm. I have recently got my hands on a few of their T-Shirts, and they are the best fitting, best quality shirts I have ever had. 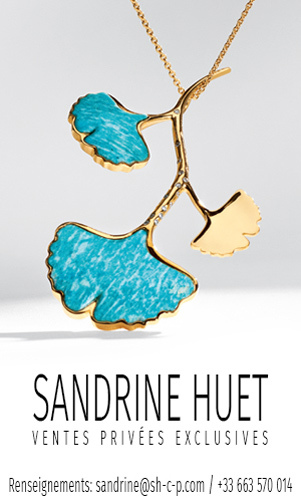 Accessories has to be the one and only The Great Frog. I cannot go to London or LA without popping in and spending some money. Favourite 5 Instagram accounts to follow? 2) @liamoakesphoto – Liam has been our photographer since day one, and being him grow has been incredible. Last year, we hired him full time, and he still has time to go out and get amazing images, and works with top level clients. 3) @joshuakanebespoke – Josh is an incredibly talented tailor. This account is a must for any MAN who cares about his appearance, as Josh makes the best suits around! 4) @gilsphotography – Gil is our U.S. photographer. 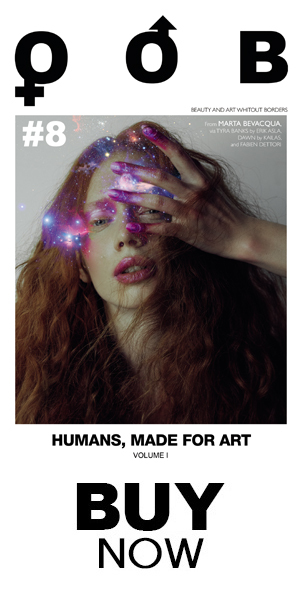 He is also incredibly talented, and shoots with some of the coolest looking models out there. He has a great style, and his Instagram feed is always looking good! 5) @spizoiky – Josh Mario John, AKA Spizoiky, is one of the most fun loving genuine people we have worked with, and his account is great for some top quality beardspiration. Favourite song of the moment? Honestly, I can’t think of my favourite, but right now Beastie Boys, Intergalactic is playing, and that is a pretty good song to work to! Being an ex bartender, pretty much anything alcoholic. But get me a shot, and you’ll be my best friend. The Man Club is a way for MEN to show solidarity and to give Apothecary 87 a feeling of belonging. Simply by using their products, grants you MENbership to The Man Club. Inside each one of their products you will find a membership card. Just take your manliest photo and add it to your wallet, ready for use. Don’t forget to add #TheManClub to your photos on social media. Meet Dickie Smith, Johan Diego, Zack Herdman and more MANBASSADORS !